There are certain cameras, for whatever reason, I have become attached to over my long career as a professional photographer. Even though I don't use them much anymore, they still hold a fond place in my memory and I hang onto them, putting them on a shelf to remind me of wonderful times, and occasionally taking them down and putting them back to work for the nostalgic fun of it. My M4 was one of the last of the painted black over brass models. I had a Leica factory replacement of an M6 viewfinder to add a 28mm frame in the finder window so I wouldn't need to use a separate finder to nudge out my Leica meter's place on the hot shoe. 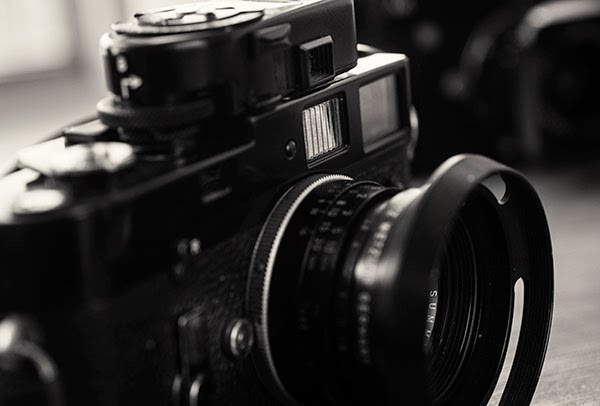 Two cameras I feel this way about are my Leica M4 and Fuji X-Pro1. Of course my M4 is a film camera, whereas my X-Pro1 is digital, and therein lies the difference in putting them back to use. A film camera of almost any era will produce images today that are not substantially different from even the most modern film camera. Digital cameras, on the other hand, have been evolving rapidly over the past fifteen years. In a sense they carry their "film" with them in the form of a sensor. 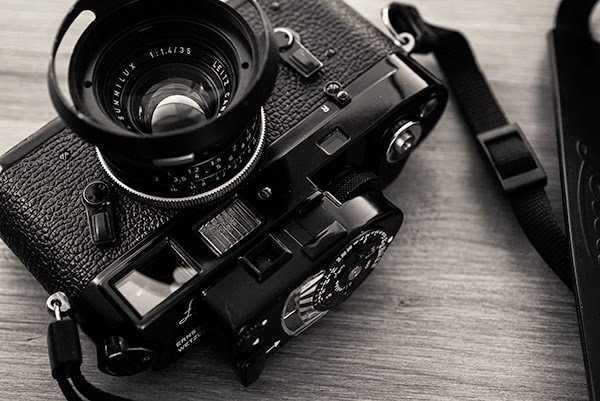 As new cameras with improved sensors take their place the older models become completely obsolete. Nikon's D1x of 2001 was recording at just 5.3 megapixels. A 35mm film camera of the same era could produce a scanned slide image that bested that at around a 24mp standard for commercial stock photography. Even today I can (and still do) scan film images from that time and earlier. These are perfectly usable -- maybe not up there with today's state of the art 24-36mp sensors, but good enough to make a large print. Fuji got it right with this camera. It has all the practical features of an older analog system, with over-rides for digital convenience when needed. I especially love the combined optical/electronic view finder. 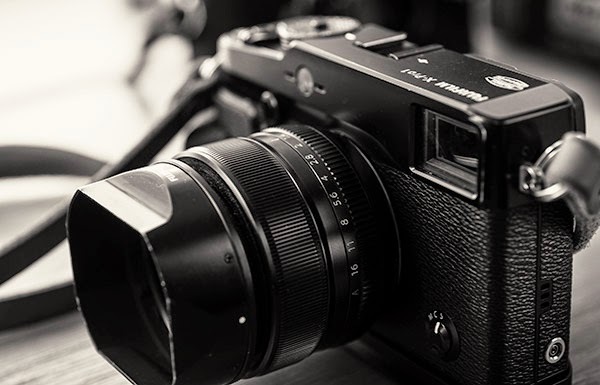 The impetus for this post came because I heard last week that the X-Pro1 would be replaced by a newer X-Pro2, probably in September of this year. I felt a little sad about the idea of turning in my old X-Pro1. It has the same cachet for me as my Leica M4. Difference is that, while I still occasionally pick up my M4 and run a few rolls of film through it, I don't think I will be so inclined with a 16 mp X-Pro1 once a 24 mp X-Pro2 arrives. Digital cameras just don't have the same shelf life as film cameras. I could easily pick up and use -- as I sometimes do -- my first Nikon FTn without sacrificing a thing in terms of image quality from film. The same cannot be said about digital. 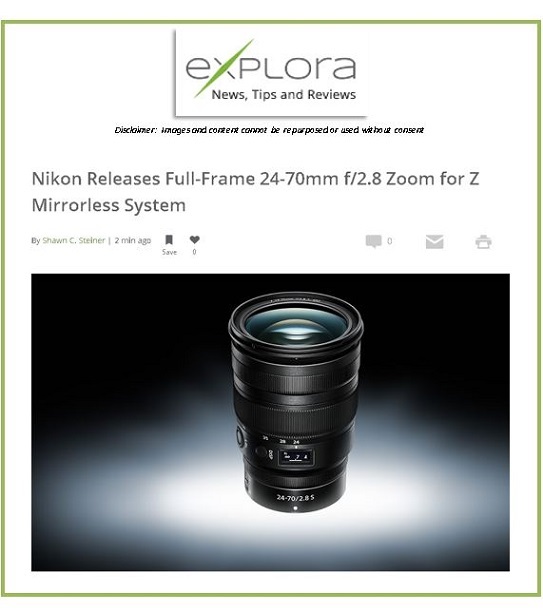 Could you even imagine using a Nikon D1x today when even our cellphones are capable of higher res images. No wonder even cell phone covers come with pictures of old cameras on them. 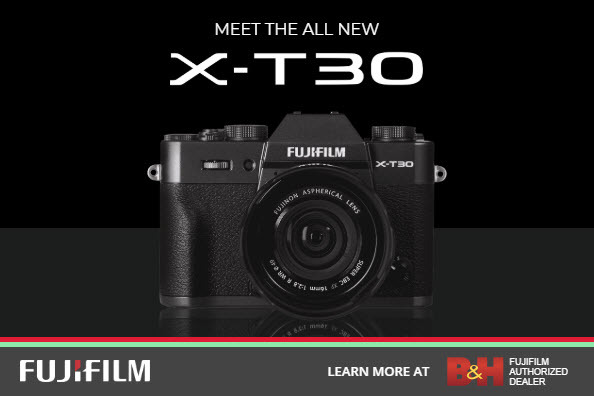 I still have many of the film cameras I owned, but I immediately trade in my digital cameras as soon as a new model is announced. I wonder if this will change now that we seem to have reached a plateau of sorts on how far we can push the quality level of a digital sensor. For practical purposes, 16-24 mp seems to be all that is needed for most of what I do. Maybe that means some of today's digital cameras can enjoy longer, productive lives. My X-Pro1 is a fun camera to use. It feels good in the hand. Fortunately, there is a realm of my fine art work where the images from my X-Pro1 are all I need. Maybe that bodes well for it landing on the shelf next to my M4 once the X-Pro2 arrives. 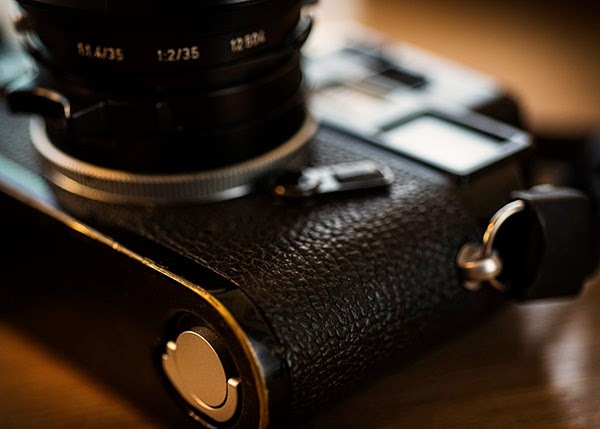 Nothing can quite equal the beautiful patina of a brassing Leica. On any other camera they might be distracting. On a Leica they are a symbol of character. I sometimes wish the X-Pro1 had a brass casing. My X-Pro1 is showing signs of wear with scars and scrapings serving as reminders of hard use and good times. It is these battle scars, probably more than anything, that make a camera your own. You've been through a lot together. Sometimes it is more than the pictures we bring back from a trip, it is the camera itself that serves up fond memories of what we did together. I sold my X-Pro1 in favor of the X-T1. Also my X100. Yes, there was a lot to love about both. But like a beautiful car that leaves you with engine problems in the middle of nowhere I really started hating both - the work-around to get over the poor AF, shutter lag and flash issues. I'm about 30 years a Nikon F user and the unreliability/inflexibility of this combo became just a bit too much for me to carry on. The X-T1 is a far better try to make a good camera, it's a fair bit more reactive & competent, but not free of issues either. If I had to make the choice today I don't know that Fuji would still remain on my list. Or any other CSC. There's nothing I can do with this type of cameras that my Nikon FF gear won't do better, most of all faster and more accurate. From a pro who's switched from CXanon 1Dx to Fuji XT1 I can say that there are several things the Fuji does better. First of all they are half the weight. When carrying two cameras and 5 lenses all day I can tell you my back prefers the Fuji. Secondly they are sharper when shooting wide open. I always had to double check my Canon primes when shooting at f/1.2 on outer focusing points due to inaccurate focus - the Fuji is perfectly sharp, all the time. The focus points also spread out across the entire viewfinder. Then there's the WYSIWYG viewfinder, in camera RAW processing (so I can wifi a bride's photo to instagram on the same day) and the ability to turn any Nikon lens into a tilt and shift lens using a simple adapter. Sure the Canon and Nikon gear has advantages (HSS flash, better motion tracking, longer lenses) but for wedding photography the Fuji wins. Best of all I can sell a used 1Dx and a few primes and buy an ENTIRE 2 camera five lens kit of Fuji gear, leaving me with a spare 1Dx and all my f/2.8 zooms for when I need them. No contest. I think you will find "cache" should be spelt "cachet", pronounced cash-ay.